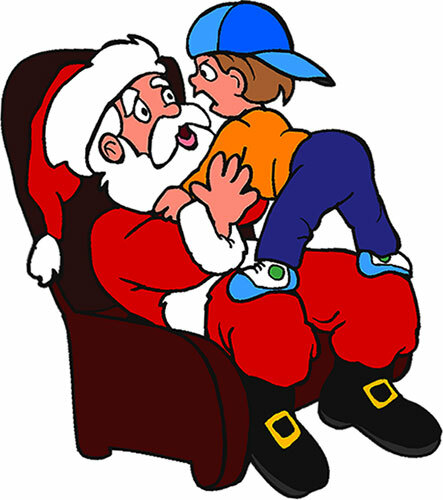 Printable images of Santa with children on his lap telling what they want for Christmas. 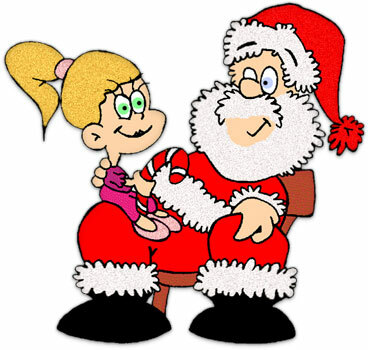 Cute little girl sitting on Santa's Lap with big eyed wonder. Could this be "the" real Santa? Time to get down to business. 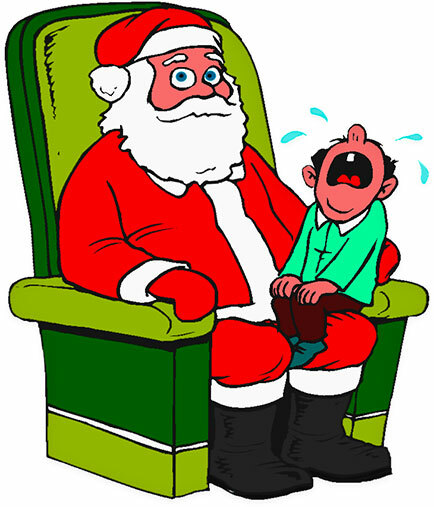 You are not going to get that new iPad or bicycle without the help of Santa. Merry Christmas! Boy is having a discussion with Santa over the quantity and quality of the toys he received last year. He wants to be certain that Santa understands exactly what he wants this year. This matter is too important to leave to chance. 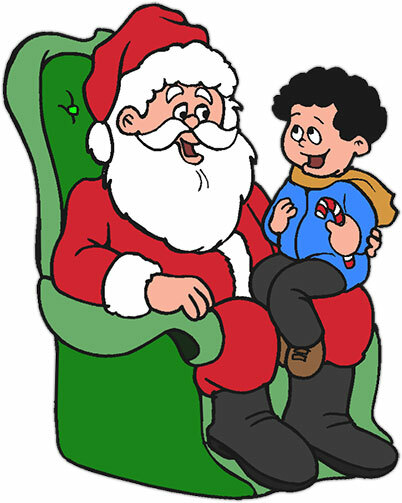 A child on Santa's lap with a candy cane. Everyone is happy. Little girl that knows exactly what she wants sitting on Santa's lap. 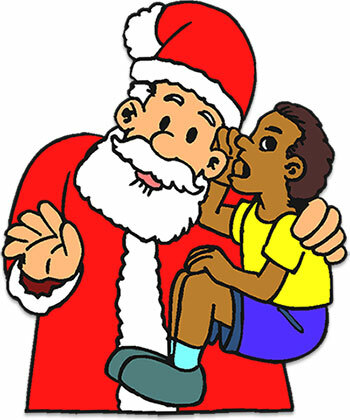 Some times when talking to Santa it is so important you just have to whisper. Every day is an adventure when you are Santa Claus. Perhaps this child needs a nap. 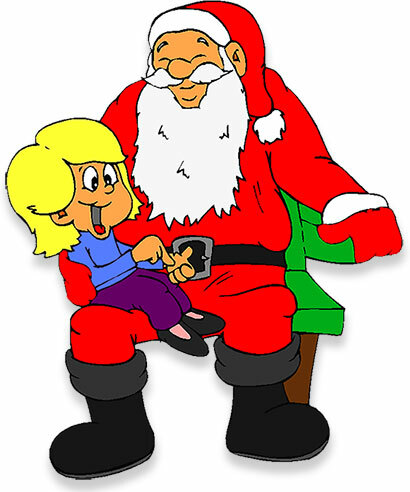 If you save and use our Santa clipart please give us credit. Thank You.